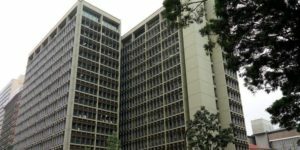 NAIROBI – Kenya is rolling out a headcount of retired civil servants in a census intended to weed out thousands of ghost pensioners that could be siphoning millions of shillings monthly. According to Business Daily the headcount will require all the 300,000 retirees on East Africa’s largest economy payroll to present themselves at Huduma Centres countrywide. The exercise starting February 11 is intended to curb the Kenya’s swelling pension bill that is expected to surpass the KSh100 billion mark in 2019. The country’s Pensions Department assumes wrong people are paid benefits helped by use of ATM cards and mobile banking, which do not require physical presence of beneficiaries in banking halls. Previously most government pensioners were paid through the State-owned Postbank, which demanded that the retirees appear in person to withdraw their benefits. However, when paying retirees was opened to all the 42 banks, the need for pensioners to collect their benefits from tellers was reduced. In a 2015 report, the Auditor-General said that an ageing pension payment system had made it difficult for Kenya to maintain a clean retirees’ payroll. The auditor-general found 12,000 false names on the State payroll, and established that more than KSh100 million a month was lost in payments to “ghost workers”. The Pensions Department told Business Daily that it did not have a reliable estimate of the number of ghost pensioners on its payroll. Payment to retired civil service is expected to rise to KSh109 billion next year. Kenya’s rising pension bill, which is projected to increase further to KSh152 billion in three years, risks derailing government efforts to shift public spending to development projects.